A 7 judge constitutional bench of the Supreme Court of India remarked recently that asking for votes in the name of religion is “evil” and “not permissible”. This is at odds with the grim reality of India where it has been incredibly difficult to separate religion from politics. Religion has played a critical role in India’s relations with her neighbors. Knappily explores whether religion can be divorced from politics. 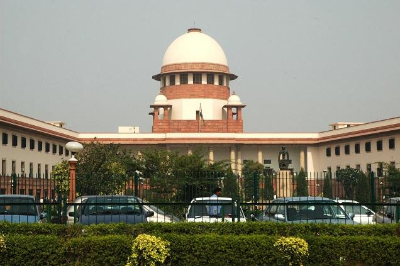 What are the recent observations of the apex court? What was the hearing about A 7-judge Bench of the apex court headed by the Chief Justice of India T.S.Thakur is hearing for an authoritative ruling on the interpretation of Section 123 (3) of the Representation of the People Act (RPA) 1951 to decide whether an appeal for vote in the name of religion will come within the ambit of "corrupt practice". The course of developments in this case: While a five-judge bench was hearing the issue of interpretation of Sec. 123(3) on January 30, 2014, it was informed that an identical issue was raised in an election petition filed by Narayan Singh against BJP leader Sunderlal Patwa and another Constitution Bench of 5 judges of the apex court had referred it to a larger bench of seven judges. Understandably, even this case was referred to the larger constitutional bench. "Scope and width" of Sec 123 (3) of RPA 1951 that bars candidates from using religion to seek votes is under the review. As part of the review, the bench will also decide whether candidates can be disqualified if their supporters exploit the religious sentiments of voters. Petitions before the bench: Two election petitions on the issue by Abhiram Singh and Narayan Singh are pending before the bench. As part of this hearing the Chief Justice of India (CJI) has made it clear:"Religion, in any form, should not be brought into any election. It should not be the basis for seeking votes." Elections are a secular exercise and religion should be separated from political process. It also wondered if raising issues like Ram temple by a poll candidate was legal. The bench expressed that seeking votes in the name of religion could affect the secular concept of elections in India’s democracy. Why is it important to clearly define the ambit of Sec. 123 of RPA 1951? Corrupt practices: Under Sec 123(3) of RPA 1951, “The appeal by a candidate or his agent or by any other person with the consent of a candidate or his election agent to vote or refrain from voting for any person on the ground of his religion, race, caste, community or language or the use of, or appeal to religious symbols or the use of, or appeal to, national symbols, such as the national flag or the national emblem, for the furtherance of the prospects of the election of that candidate or for prejudicially affecting the election of any candidate” – is considered to be a corrupt practice. 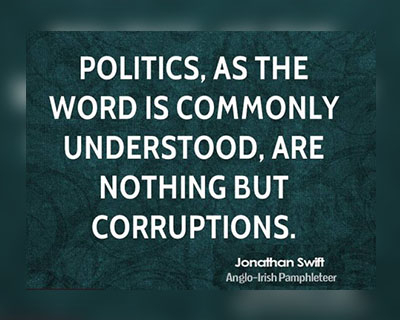 Is it practically possible The ground reality is that many of these aspects are being talked about in poll campaigns to gain undue mileage and votes. Also, it would be very difficult to campaign without touching these aspects because religion is a part of the social fabric of India. So, defining clear guidelines about to what extent can religion be talked about will go a long way in maintaining the social fabric of the country. Safeguarding secular fabric of the nation: The very purpose of the election law is to "stamp out communalism" and to ensure there is no basis for religion in polls, thereby safeguarding the secular values of the country. The Supreme Court bluntly said that India is a secular country today, but it is not sure for how long it will stay that way. 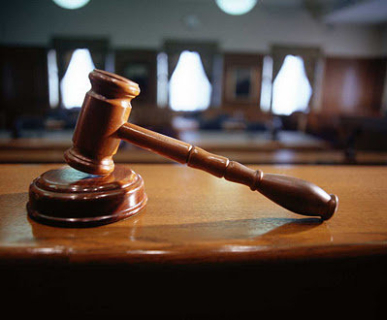 The court also stressed that religious decrees cannot override the written code of law. Right time: In the coming few months, five states are going to have their elections. It has been observed that in the majority of the campaigns, religion and caste have become definite campaigning points. For example, in Uttar Pradesh attempts are being made to revive the Ram Temple issue, a promise to build a temple in Ayodhya where once Babri Masjid stood, to gain political mileage. This issue has found a way to revive itself right before the elections - though the matter is before the courts. Judicial activism: The apex court has observed that the Parliament has not done anything in the last 20 years since the reference was made to it in the Verma judgment to enact legislation regarding this issue. It pointed out that similar delay happened with regard to sexual harassment legislation in which the parliament delayed for years while the apex court issued guidelines (Vishaka guidelines) and eventually the parliament was forced by the people to enact legislation. When was the Verma judgment delivered? This matter ended up with a 7-judge constitutional bench because of the apex court’s Verma verdict in 1995 verdict by a 3-judge bench. The Bombay High Court (HC) order: During elections in Maharashtra after the 1992-93 Mumbai riots, Shiv Sena leader Manohar Joshi had promised to turn Maharashtra into India’s first Hindu State. The Bombay High Court nullified Joshi’s election for seeking votes in the name of religion and thus violating the constitutional commitment to secularism. The Supreme Court’s pronouncement: The former Chief Justice of India, J.S. Verma, led 3-judge Bench of the apex court, overturned the High Court verdict. As part of judgment, the bench ruled that Hindutva was not a religion but a way of life, and that a mere reference to Hindutva or Hinduism wasn’t a corrupt practice and did not prejudicially affect any candidate. Subsequent journey: When the issue was referred to a 5-judge Bench, it also held that a candidate would not be guilty of a corrupt practice if he/she appealed to persons to vote or not to vote on grounds of religion as long as it was not his/her religion. It was thus referred to a 7-judge Bench. An appeal was filed by BJP leader Abhiram Singh, in 1992, whose election to 1990 Maharashtra Assembly was set aside in 1991 by the Bombay HC. It was dealt by a bench headed by Justice Lodha. A 3-judge bench had referred Singh’s appeal, in which the same question and interpretation of Sec. 123(3) of the RPA 1951 was raised, to a five-judge Constitution Bench. While the five-judge bench was hearing on this matter, it was informed that the identical issue was raised in Narayan Singh vs. Sunderlal Patwa and the apex court’s another Constitution Bench of five Judges has referred a larger Bench of seven Judges. Thus, this issue was referred to a bigger, 7-judge constitutional bench in the apex court. 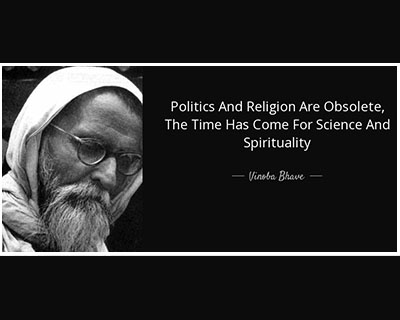 Where, apart from elections, do we see religion playing its tunes? Religion plays a crucial role in international politics as well. Since ages, religion is one of the common factors that promote cooperation among states or conflict between them. General view: In some cases, religion and religious aspects helped in fostering relationships between two nations while in some cases it worsened the relations. Even currently, there is a rise of anti-Islam sentiments in many European countries, though the primary cause may have to do more with economy (inadequate job creation) than with religion. India’s case: India’s relations with its neighbors - Pakistan, Afghanistan, Bangladesh and Maldives as Muslim countries – have always been under the effect of Islam-Hinduism conflict. Since China is a communist country, India’s relations are always under the effect of the conflict between religion and atheism. India enjoys deeper ties with nations like Nepal, Bhutan, Myanmar and Sri Lanka due to the effect of common religions (Hinduism and Buddhism). India–Pakistan Relations: Right from Indian independence, partition, wars, secessionist movements in Jammu and Kashmir and Punjab, export of terrorism to India, terrorist activities inside India, skirmishes along the borders etc. all have their roots in the animosity between the two countries formed due to two religions. Religion plays a vital role in deciding the foreign policy of one nation towards the other. While campaigning for elections, it has become a common practice to appease the Muslim minorities and arouse the passions of Hindu majority to gain mileage. This also led to ineffective foreign policy towards Pakistan. India–Nepal Relations: Till a few years ago, Nepal used to be the only Hindu state in the world. The ties between these two nations have consistently been close. They are bound together by history, geography, kinship, religion, faith, cultural legacy and linguistic affinity. ‘Religion’ is a bigger problem to be addressed at the international level: It is not just limited to relations between India and its domestic and foreign policies.It plays a hidden but greater role in the foreign policy of almost all the nations towards every other nation. Who have used religion to improve electoral performance? First communal electorate: Indian Councils Act of 1909 (Minto-Morley reforms) introduced Communal Electorate for Muslims in India - the Muslim Members would be elected only by the Muslim voters. This would go on to be the foundation stone of the two nation theory. Communal Award: The British Prime Minister Ramsay MacDonald in 1932 announced that there would be separate electorates in British India for different communities. It was severely criticized by Mahatma Gandhi but strongly supported by B R Ambedkar. These communal appeasements were part of the attempts made by the British as part of their divide and rule policy. But even after independence, communal politics continues to break the secular fabric of this nation. Abolition of communal electorate: The Constitution of 1950 abolished the system of communal electorates. But it has become a common practice by politicians to exploit the religious divisions in society.Caste, religion and language play a prominent role in all election campaigns and promises. Various parties use various communal strategies and tactics to gain political mileage. Who uses it the most Almost all political parties are, in one way or the other, guilty of using religion related issues for narrow political gains and even the hands of religious leaders are not clean.This might be because religion is a source of identity and a bonding factor in the lives of people, mainly in developing societies like India. Who votes for whom Since the 1980s, communally divisive “vote bank politics” and “pampering” majorities or minorities in order to get their votes have become common. Religion has had an important impact on the voting behavior of individuals. 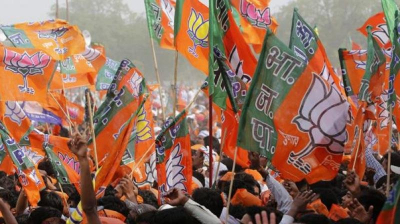 Generally, the Christian and Muslim communities support the Congress while sections of the Hindus vote for Hindu nationalist parties like the BJP and while a considerable number of electorate believe in secularism. Indian innovation: The term pseudo-secularism is used to critically describe policies considered to involve minority appeasement. The Hindus form the majority religious community in India; the term "pseudo-secular" implies that those who claim to be secular are actually not so, but are anti-Hindu or pro-minority. With the rise of coalition politics, religion, caste, region, language have become indispensable factors in the electoral campaigns. Religion is also a major reason for the rise of separatism and secessionism in Kashmir. 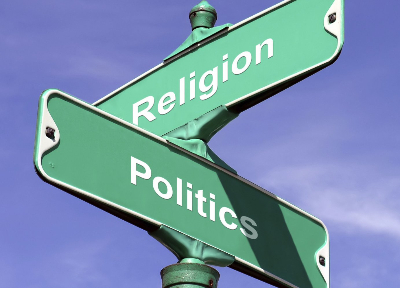 How realistic is the divorce between religion and politics? Opposition to the idea: Many state governments told the apex court that religion is part of the society, it cannot be separated from society and that it is "not an anathema to the Constitution". They submitted arguments that courts cannot define yardsticks for what can be included in an election manifesto. India, today, is much more divided than it was during the time of partition in 1947. This is due to the perverse manner in which secularism or “identity politics” is being practiced in the country. Even the victims and guilty of crime are frequently seen in terms of their religions and castes, not as normal human beings who are all equal under Indian laws. 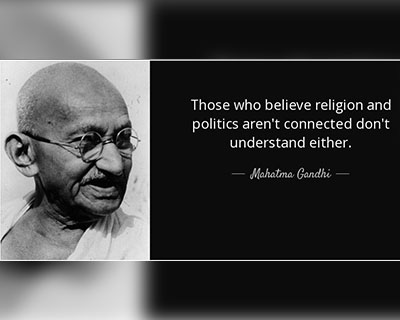 Religiously driven politics has been followed by the nation and the citizens for quite a few decades and has often triggered deadly riots. Election manifestos: The Congress manifesto in January 1989 for the Mizoram election promised to promote “Christian socialism”. Also, the Rajiv Gandhi government overturned the Supreme Court judgment on the famous Shah Bano case by bringing about a fresh legislation in the Parliament, with a clear motive to woo the Muslim electorate. Similar attempts can be observed to entice the Hindu electorate by highlighting the Ayodhya Ram Temple issue. International models: Australia, Netherlands, Iceland, Austria, South Korea, Germany, France and Czech Republic have the best practices in place to avoid the mixing of religion with politics. Of late, however, even these countries - particularly Germany and France - are seeing a return of right-wing extremist parties to the fore. It is indeed a good year for the return of religion to politics, which is surprising because the general argument is that as a country advances, religion plays a lesser role in its policies. Although the 42nd Amendment incorporated the word "secularism" to the preamble of Indian Constitution, it did not define what secularism was. Ironically, the Congress party, which introduced the word, foiled an attempt to actually define secularism as "equal respect to all religions". Unless India defines the meaning of secularism in its right sense, the sense of insecurity among various religions will not fade away. This obscurity has been the primary reason behind the insecurities of various religious communities. Need of the hour: There cannot be true secularism unless all the religions in India are treated equally under Indian laws.This can only be possible if politics is liberated from the hegemony of religion. The ongoing case should be the referral point for defining secularism, not Hinduism.